Word for Today: Spiritual Meditation is Refreshing. Word for Today: Spiritual Meditation is Refreshing . Those Christians who are not used to true spiritual meditation, cannot imagine what they are missing. Taking a verse from the word of God, and focusing, pondering and ‘eating’ it is a very important concept in our Christian walk with the Lord. Meditation is a widely used practice even by unbelievers and there are unfolding scientific evidence to support the calmness, relaxation and peace of mind that it produces. For those with a very busy schedule like myself, you can do spiritual meditation anywhere you are. You can meditate at work, home or even in you car. Duration can range from 5-10 minutes, or even less, depending on how much time you have but this should be repeated regularly. Choose a suitable posture that you are comfortable with and ponder on a particular word of God until it has entered your spirit man, and transform you. Make use of the principle of MINDFULNESS . “Set your affection on things above, not on things on the earth” (Colossians 3:2). “Finally, brethren, whatsoever things are true, whatsoever things are honest, whatsoever things are just, whatsoever things are pure, whatsoever things are lovely, whatsoever things are of good report; if there be any virtue, and if there be any praise, think on these things” ( Philippians 4:8). Everything you need in life is in the Word. 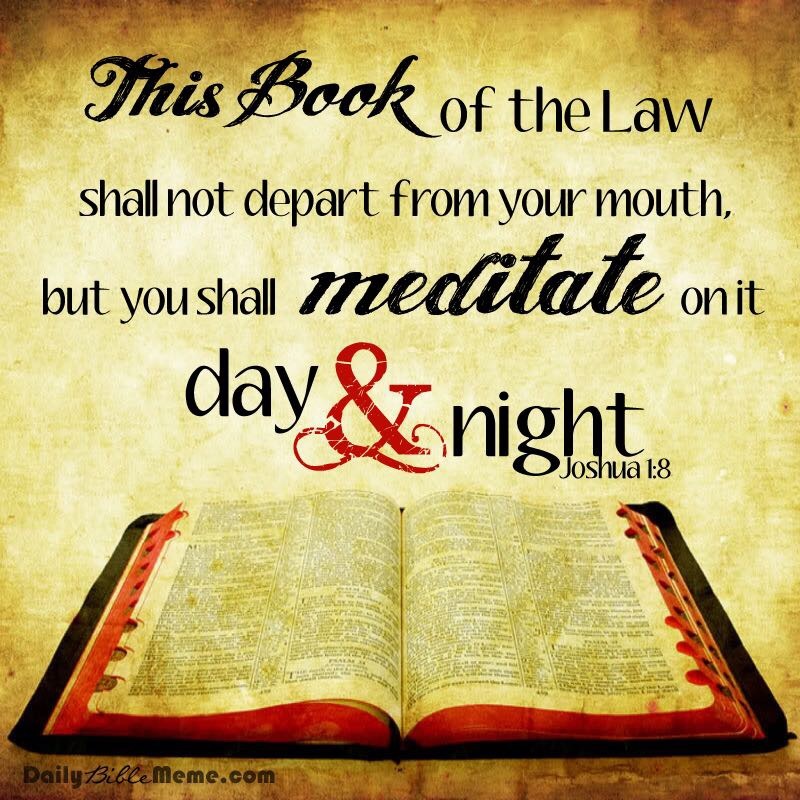 Dear Father, according to your wish, desire and purpose for us, please help us to meditate on your word day and night in Jesus mighty name. Amen. All scriptures are from KJV, unless otherwise specified. MOW is in divine partnership with Redeemed Christians Church of God (RCCG), Mountain of Fire & Miracles (MFM), Living Faith (Winners Chapel) & every Word based church globally. Please note that the Ministry Of the Word (MOW) is the initiative and spiritual arm of the Abasi Health Foundation (AHF) a registered charity organisation in Nigeria. Previous Previous post: Word for Today: Are you being Led by the Holy Spirit? Next Next post: Word for Today: Command the adversaries to move.